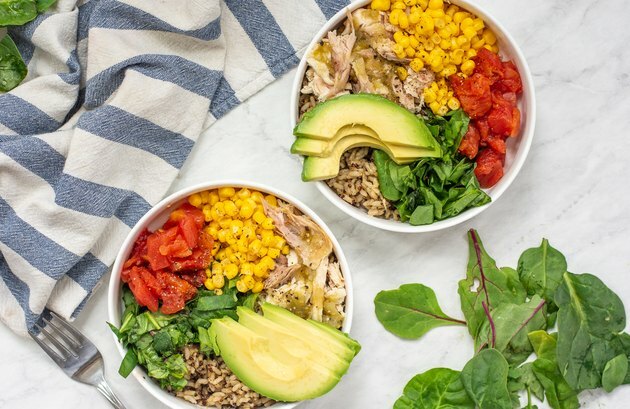 With the rapidly growing popularity of electric pressure cookers, there's a good chance you are the proud owner of an Instant Pot. Not only does it cook food quickly, but it is a great appliance to have when you don't feel like turning on the oven or stove. 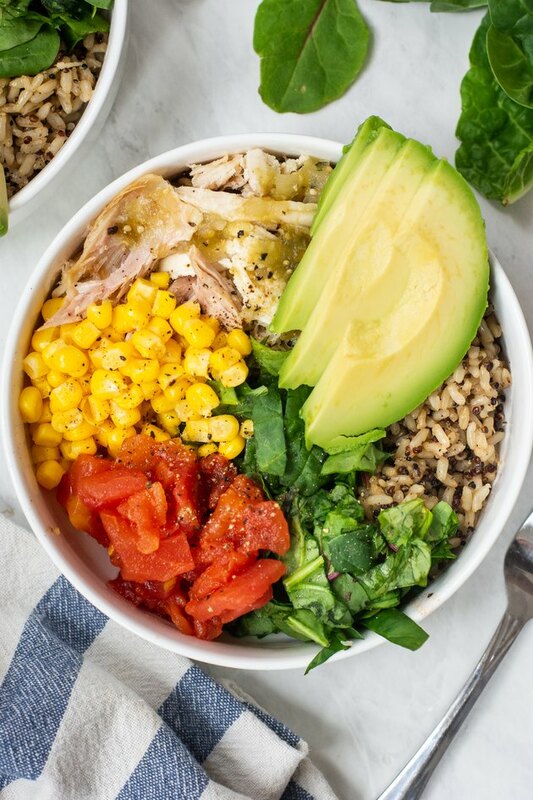 In this recipe, you will learn how to make shredded chicken for deliciously flavorful and easy taco salad bowls. 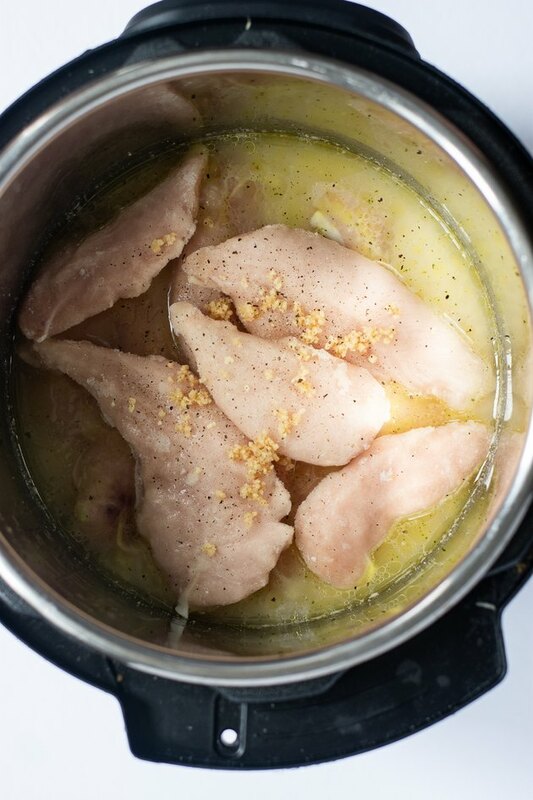 Place frozen tenderloins in the bowl of the Instant Pot. Sprinkle taco seasoning, garlic, and a pinch of salt and pepper. Add entire jar of the green salsa. Lock lid, flip valve to "Sealing" and cook on manual high pressure for 10 minutes. Five minutes before the chicken finishes cooking, heat the instant brown rice in the microwave (microwave rice is easiest for quick meal prep). Add on corn, tomato, and mixed greens. When the Instant Pot is finished cooking and beeps, flip the valve to "Venting" and allow steam to release. Unlock the lid, and carefully remove it. Once additional steam clears, remove the chicken onto a plate and shred with bear claws or two forks. The meat should fall apart and shred easily. Add meat to the taco bowls, and a little bit of salsa liquid from the Instant Pot. Top with avocado, shredded cheese and chips, if desired. Serve while warm (serves 2). Enjoy! 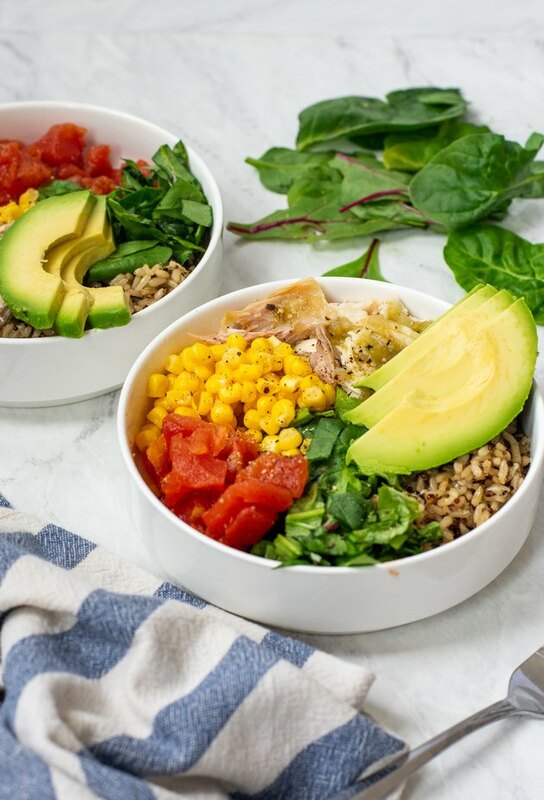 Use the remaining chicken and meal prep these bowls for the week. Assemble and store them in airtight containers in the refrigerator for up to one week. Can be served cold. Makes a healthy and easy meal that is satisfying and full of flavor.